This 450 Desmo "disk brake" Ducati is one of 15 produced for the Australia market at the end of the production run. The factory used the remaining parts to build this special run at the Australian distributers request. 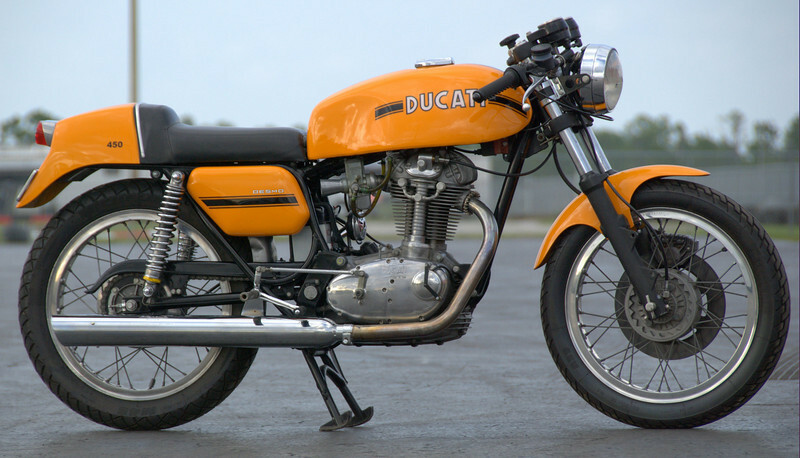 The last "regular" models were made in 1974, this run was produced in 1978 and probably qualifies as one of the rarest Ducati's built. This one was imported from Hobart, Tasmania.